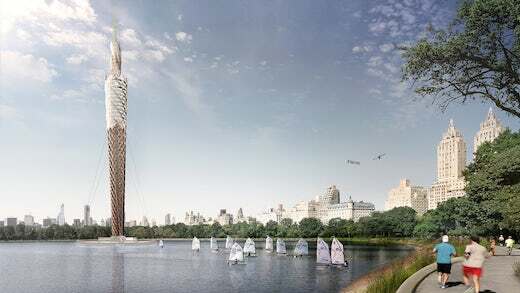 The Central Park Tower, as it is named, would be made using mainly Glulam (glue-laminated timber). Structurally, it would feature a steel core, a complex wooden helix that would be wrapped in timber lattice, and a transparent PVC skin. It would be anchored on a concrete base with stabilizing cables. The tower would be 712 ft (217 m) high and would house shops and restaurants. 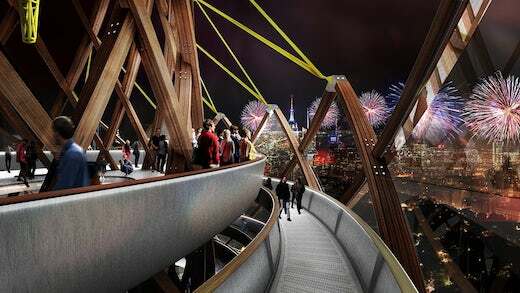 Atop it, there would be an observation deck that will offer 360-degree views of the cityscape. The tower would also have an integrated filtration system that would clean the Jacqueline Kennedy Onassis Reservoir (also known as the Central Park Reservoir). Once the filtration process is complete, the reservoir would become a pond to be used for swimming, sailing and other water activities. Currently this reservoir sits stagnant and fenced off, and is considered a health threat to millions of New Yorkers, tourists and animals. 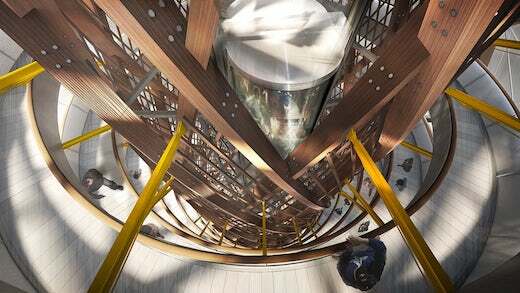 The filtration system would be housed in the steel core in the lower part of the tower. The needed power to run it would be great, but it would be all provided by a vertical axis wind turbine integrated into the tower. There are no figures to back up this claim as of yet. The tower would be built using prefabricated construction methods, so DFA Studio believes that it could be completed in about six months. 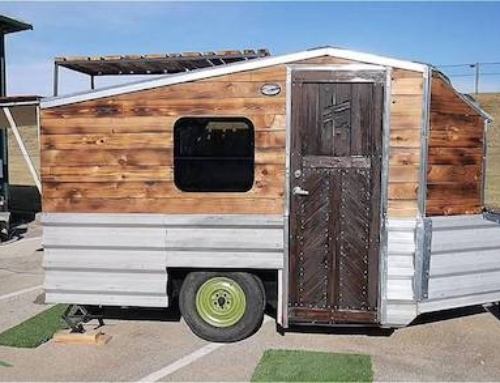 They also describe it as a “temporary” structure, so it would most likely have a limited lifespan. We’ll have to wait and see if this proposal ever gets realized.